The big game is next week! 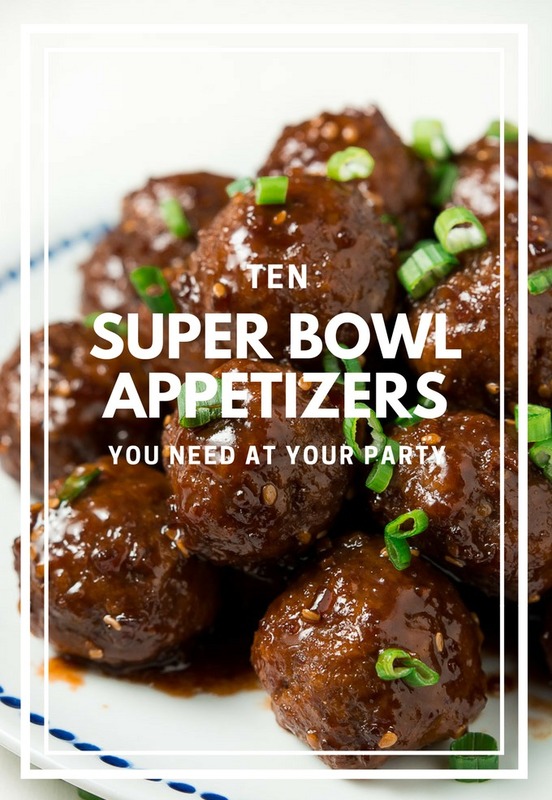 Make sure your party is a success with these delicious and easy 10 Super Bowl Appetizers. 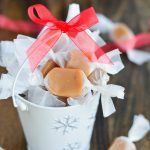 Pin it to your APPETIZER recipe board to SAVE it! Besides a tv to watch the big game, you MUST have lots of delicious food. 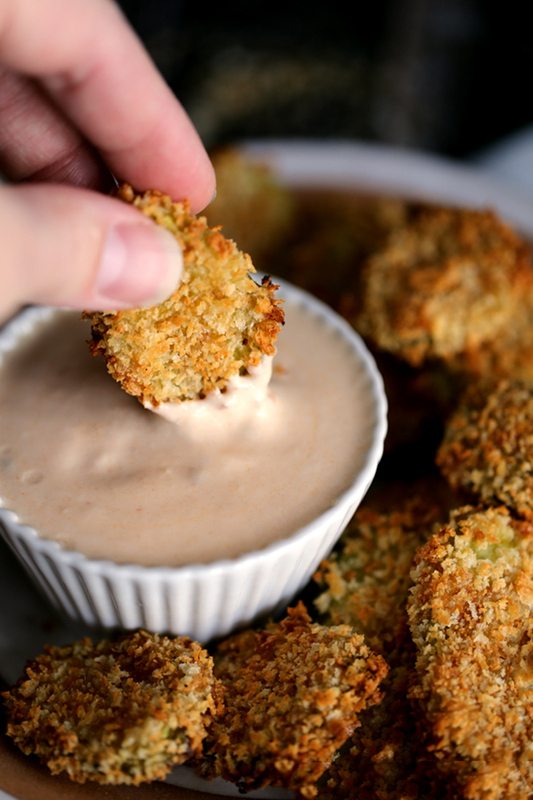 Here are 10 Super Bowl Appetizers that will keep the party going even if your team is losing. Enjoy! 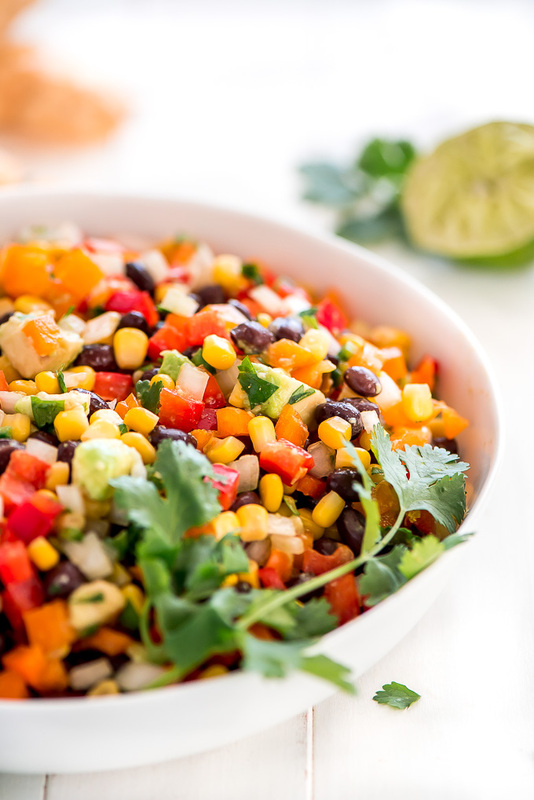 Black Bean & Corn Salsa | Garnish & Glaze – An easy 10 minute dip that is down right delicious and healthy. 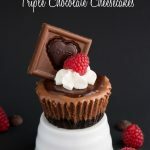 Serve it at your next party or for an afternoon snack. 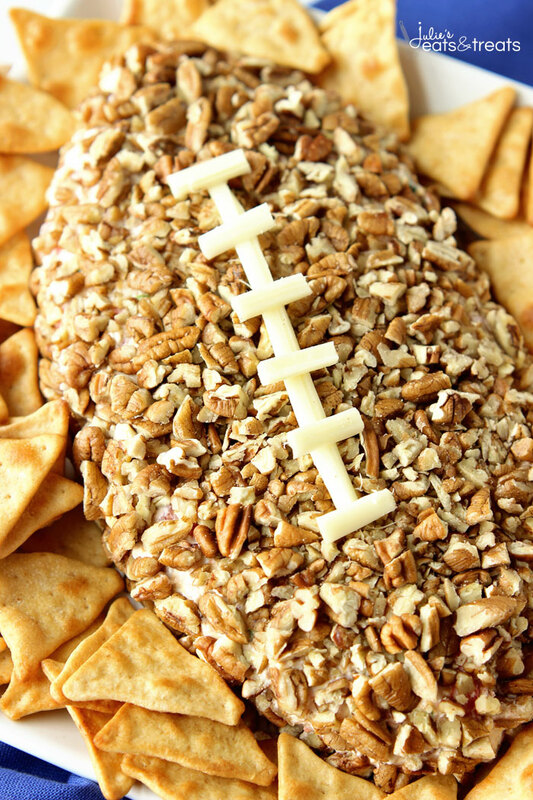 Foot Ball Cheese Ball | The Diary of a Recipe Collector – A fun appetizer recipe that is super easy and perfect for game day snacking! 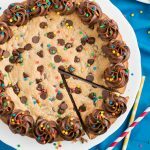 Perfect for the Super Bowl! 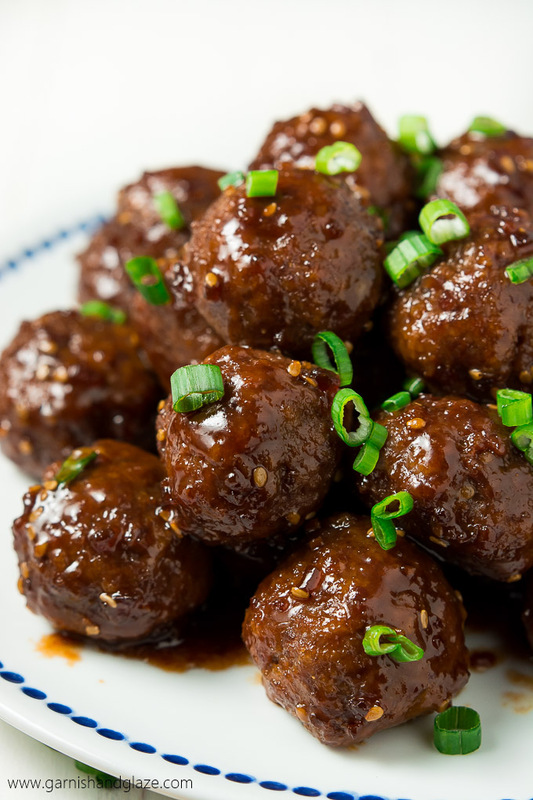 30-Minute Teriyaki Meatballs | Garnish & Glaze – Meatballs are the perfect delicious appetizer for a party that comes together quickly. 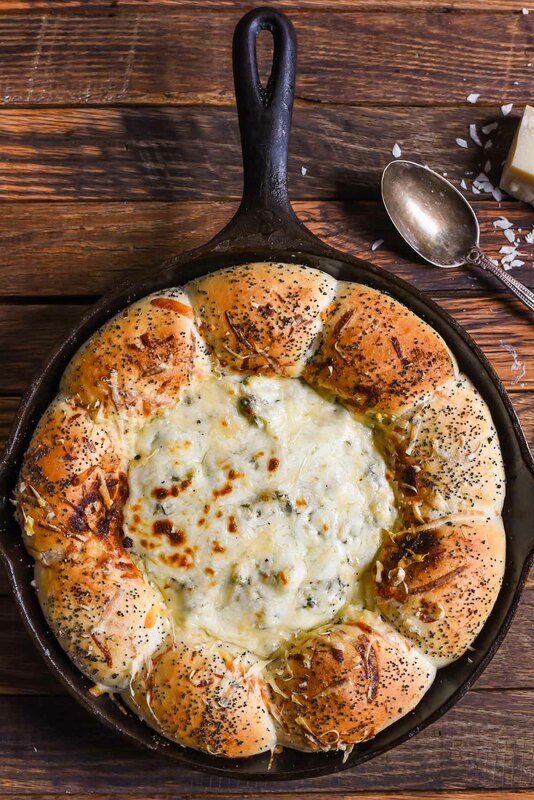 Skillet Bread and Spinach Artichoke Dip | Neighbor Food – Is there anything better than warm homemade bread and a creamy cheesy dip. 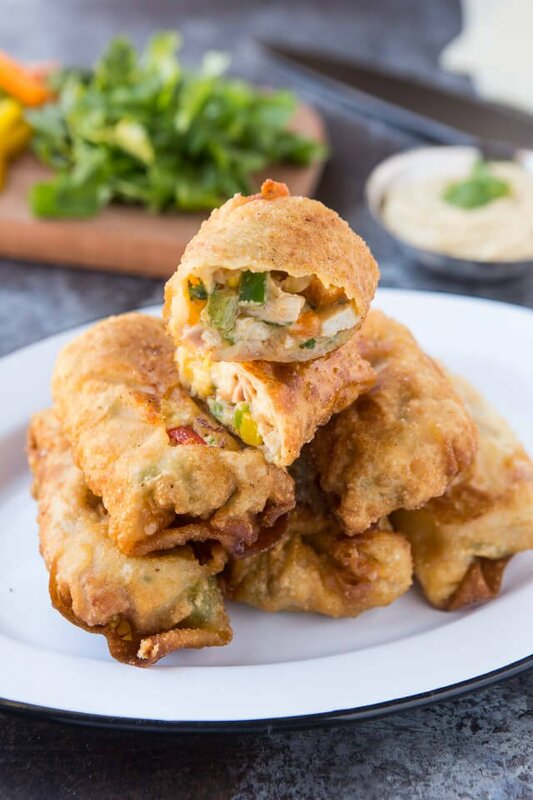 Southwestern Egg Rolls | A Zesty Bite – This includes all your favorite Mexican inspired ingredients rolled all together. Oven Baked Pickle Chips with Horseradish Chipotle Sauce | Melanie Makes – These pickles got a makeover! Baked instead of fried and packed with flavor. 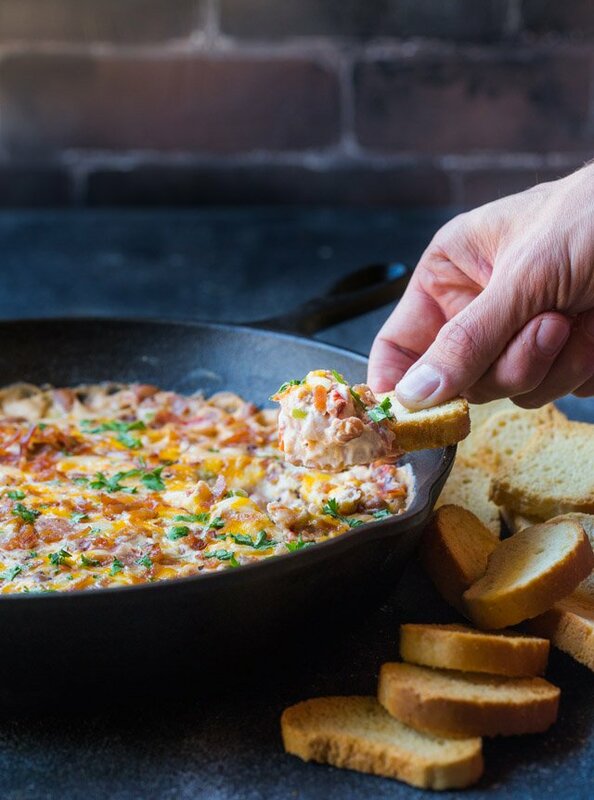 Cheesy Black Bean Dip with Bacon | A Zesty Bite – Start your party with this delicious Cheesy Black Eyed Pea Dip using al fresco chicken bacon. 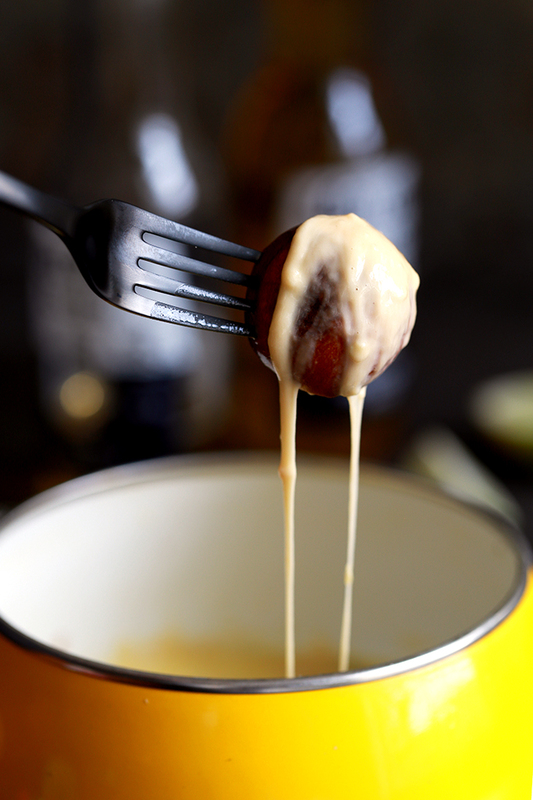 Mexican Beer Cheese Fondue | Melanie Makes – Mexican beer, jalapeños, garlic and cheddar cheese are stirred together to create this melty, luscious dipping sauce that’s just begging to be served at your next game day get together. 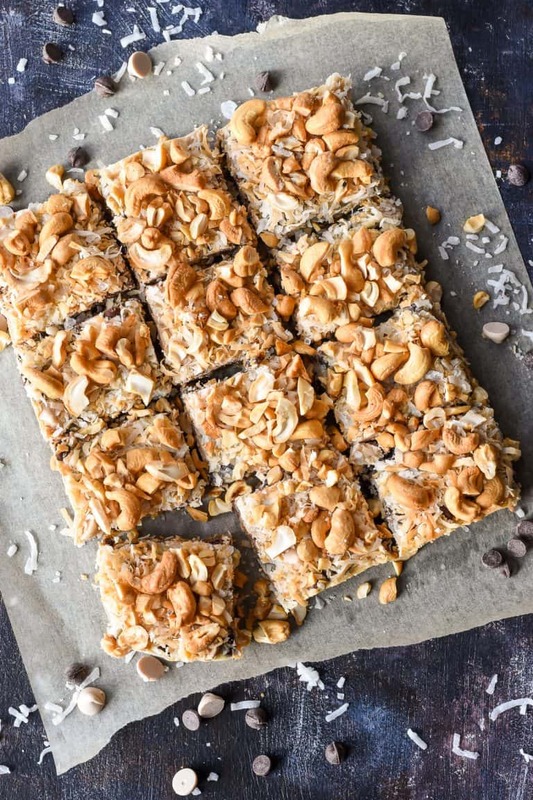 Caramel Cashew 7 Layer Magic Bars | Neighbor Food – A super easy delicious dessert filled with chocolate, caramel, coconut, and cashews are a fun and easy dessert for any occasion! 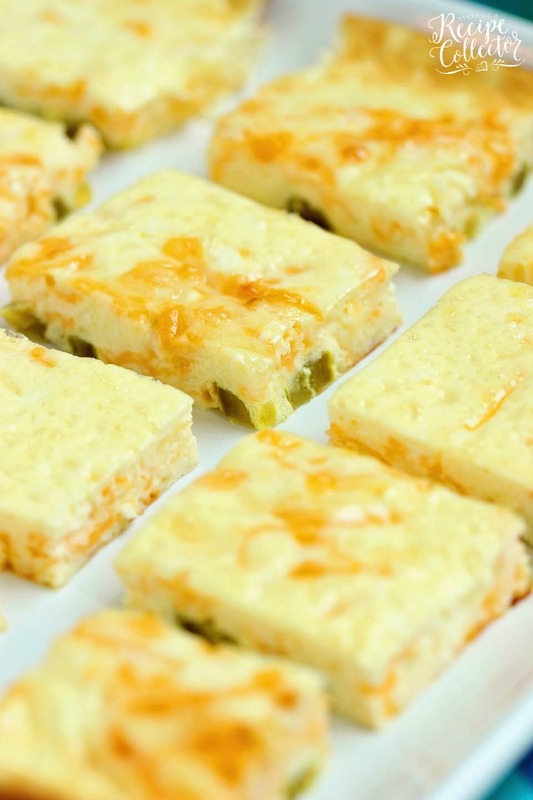 Cheesy Jalapeno Egg Squares | The Diary of a Recipe Collector – This appetizer recipe is so easy and perfect for those egg lovers! 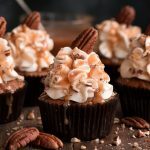 Plus it’s low carb!